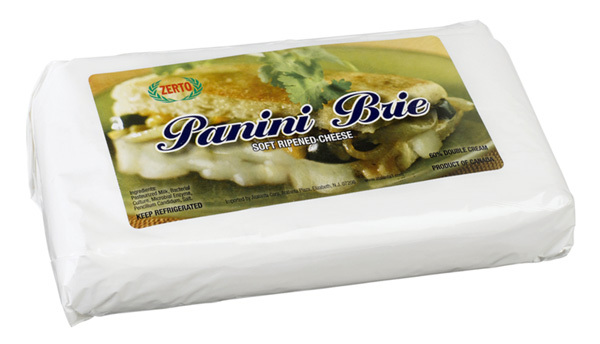 Brie Double Cream Panini﻿ is made from cow's milk, has a soft dough crust, with an average weight of 2.8 kg for a diameter of 36 to 37 cm. Its crust is thin, fluffy and white. The cheese is straw yellow, creamy and ﻿soft﻿.